Vangibaath is a dish from the Indian state of Karnataka. 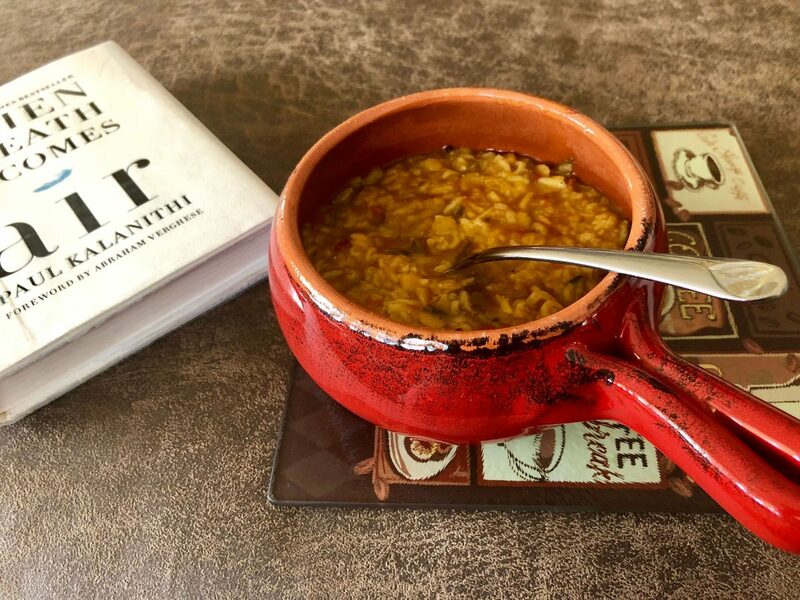 It is a spiced rice dish made primarily with eggplant, and a special spice mix (masala). 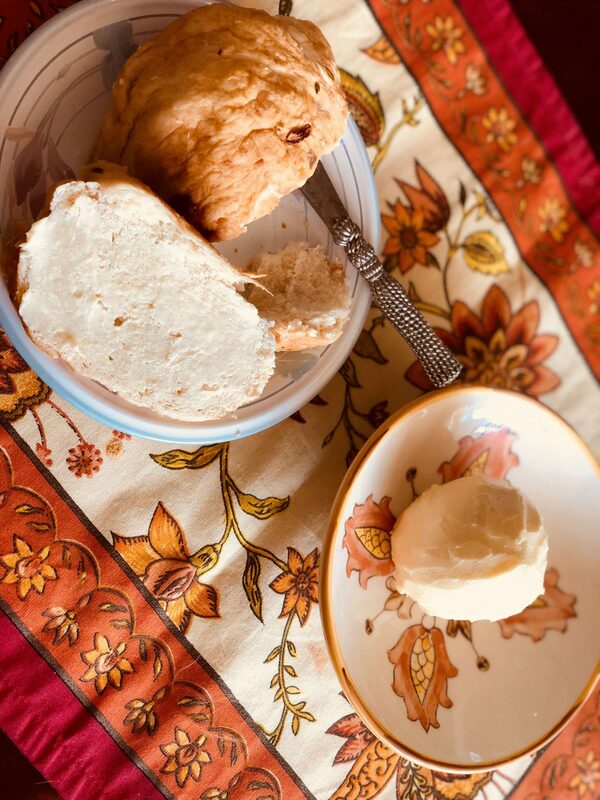 I learned this recipe from my very first friend in the US, Usha. When my babies were, well, babies, we used to spend a lot of time with Usha and her husband Shivu. They adopted our young family as their own. There was a lot of cooking that happened. As a delicious result, my cooking has been influenced by Usha’s karnataka style cooking quite a bit, and I still, after 20+ years, make a lot of dishes I learned from her. This is one of them. 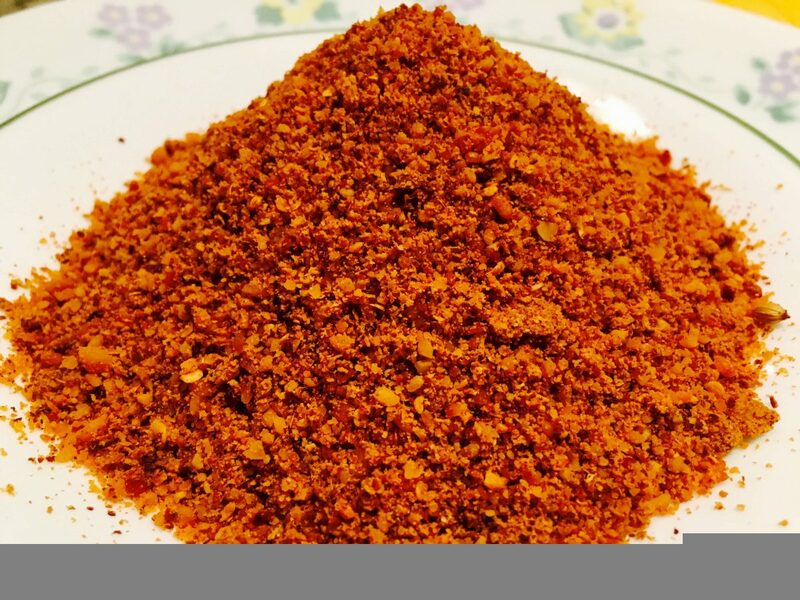 This is the masala powder that is added to cooked rice and eggplant/brinjal. I also learned to use this powder with other vegetable+rice combos such as green pepper, and cauliflower. 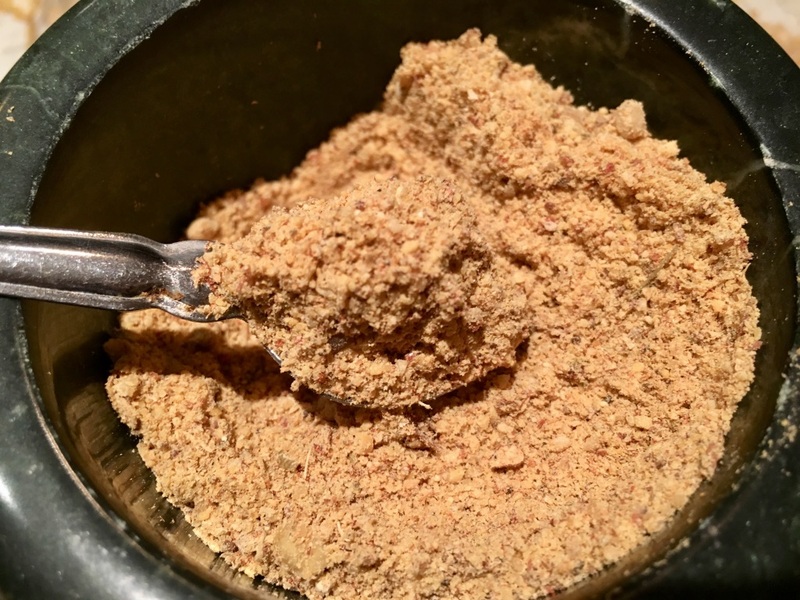 Anyway, this powder, though readily available in most Indian grocery stores, tastes best when made fresh at home, and it doesn’t take a long time to make. I make it in small quantities whenever I need, but you can make it in small batches and store in the refrigerator. 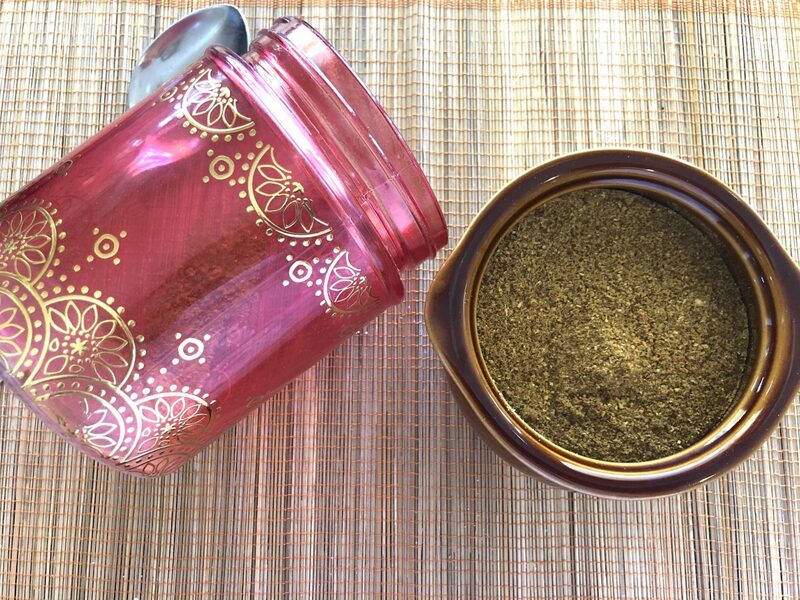 This is a versatile spice powder made with coriander seeds, red chilies, sesame seeds, cumin and can be used as a finishing touch for tamarind rice. This powder has a shelf life of at least 2 weeks, and more if refrigerated. Use it as a final garnish on any dry curries that need a little spice and flavor.